We are going to share an article on increasing your Pendrive Data transfer speed 2019. Follow the full article to know much more about it. Till the date, USB 2.0 was used in most of the devices before the USB 3.0 with high-speed transfer rate was found and started to be installed in devices. And here you will get the method to increase the data transfer speed in both the versions. This may be the case that you might be running your computer, laptop with the same USB 2.0 that theoretically offers 35 Mbps speed and not the USB 3.0 device that tends to offer a great speed of 625 Mbps if your device is not brought within this two to three years (that could carry USB 3.0). 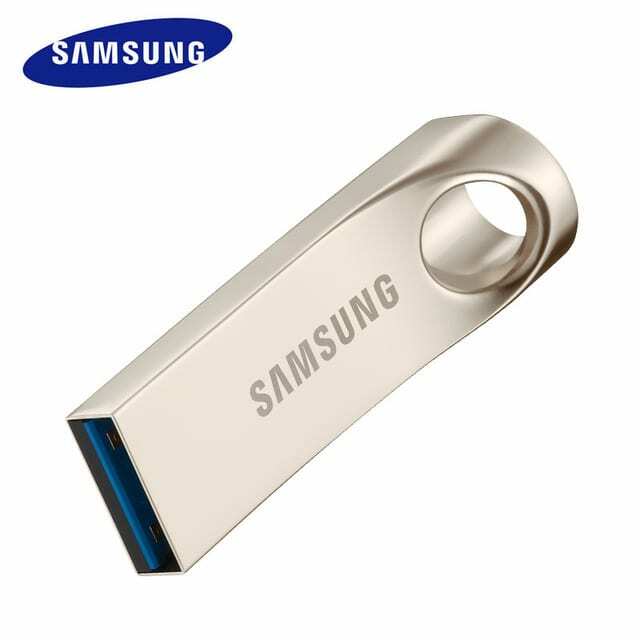 You might be frustrated while transferring up to the huge files, videos to your device through USB 2.0 even by using the pen drive that actually provides the highest possible transfer rate. 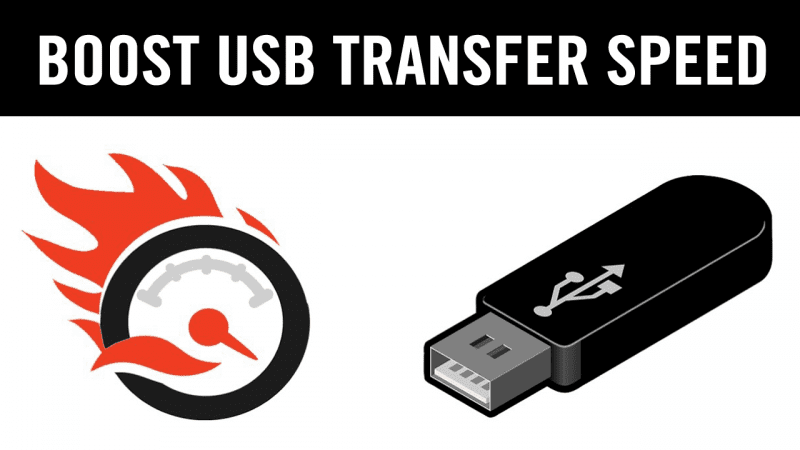 You cannot actually increase up to the speed of transfers by a huge margin and out of the limits but still, you could be able to get double the transfer speed on USB 2.0 while using the Pendrive just by using up some methods. 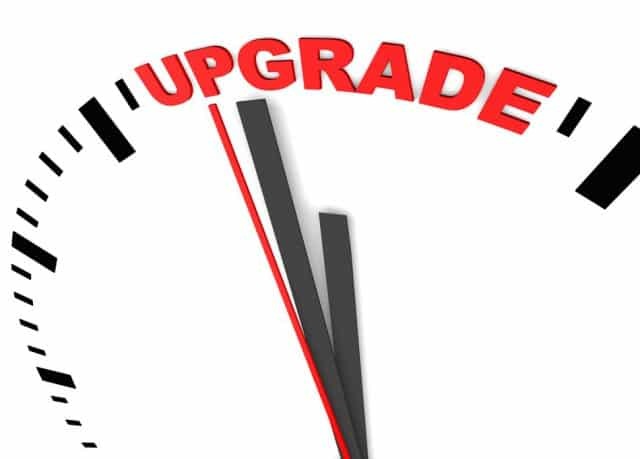 Hence you can find it easier to transfer large files in lesser time, to do that in real find up the method described in the article below. There any numerous factors that can influence your data transfer speed of Pendrive and we will be the target of all the factors to Increase Pendrive Data Transfer Speed. Firstly have a look at the different factors that can affect the data transfer speed. These all factors are responsible for data transfer speed of Pendrive. Now let’s have a look at the methods to manage them all. This is the file system of your pen drive and responsible for allocation of memory to the data in Pendrive. So you need to delete these tables initially before transferring the data. First of all plug in your Pendrive in the USB port of your computer. Now right click on the drive in My computer. Now click on the properties and select format. 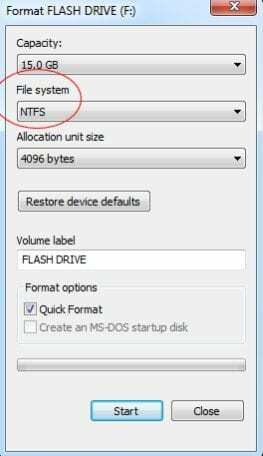 Now in the File System drop down list select NTFS. Now click on format, your Pendrive will now work better. Please take all your data backup of your Pendrive before applying this method. You can alter these policies for best use by the below steps. This method will help you to increase pendrive speed. Follow these steps carefully to increase your overall pendrive speed. First of all plug in your Pendrive in the USB port of your computer and right click on a drive and select properties. 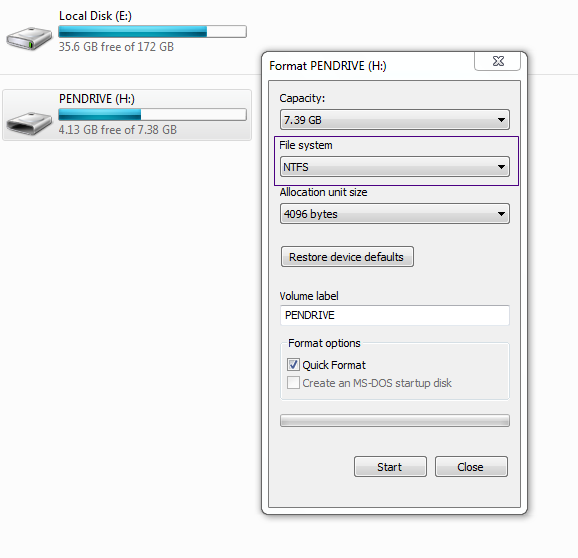 Now select the hardware tab there and a list of drives will now display in hardware tab. 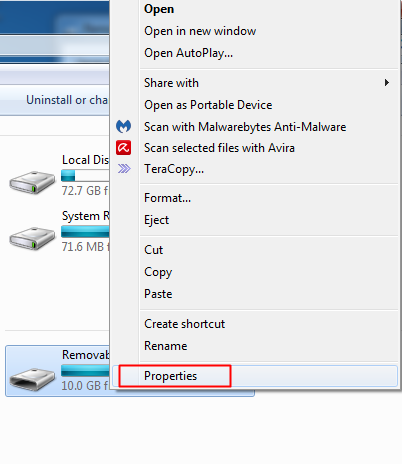 Now select your drive and click on the properties. Now at next wizard, click on change settings button. Now click on policy tab of next wizard and tick the better performance option there and click on ok button. This will now help your Pendrive to boost up its performance. If you feel like you are getting slow transfer rate because of some errors. Then you need to follow these steps and it will resolve your problem of data transfer to a large extent. Step 3. 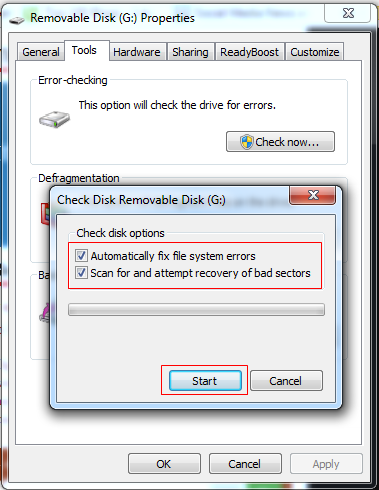 Now you need to select both the option (Automatically fix file system errors & scan for and attempt recovery of bad sectors” and then click the start button. That’s it! you are done, now it will scan for the possible errors and will fix it. 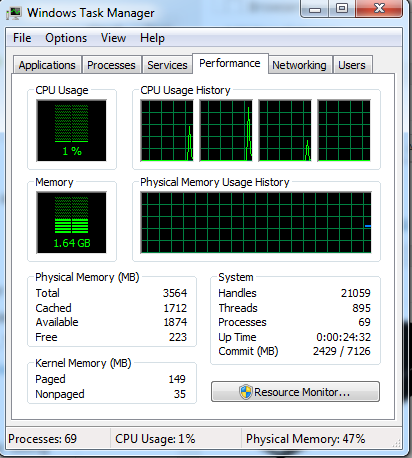 Teracopy is simply a program that is specially designed to move or copy your computer files at the very maximum speed. It is the best if you want to boost up your data transfer speed within your USB drives and computer. Let’s have a look at its features. TeraCopy uses dynamically adjusted buffers to reduce times. Asynchronous copy speeds up file transfer between two physical hard drives. In a case of copy error, TeraCopy will try several times and in the worse case just skips the file, not terminating the entire transfer. FastCopy is another awesome tool that offers a handful of features. This is one of the best file transfer tool you can have on your Windows computer. This is similar to Teracopy. You will notice a signification increase in transfer speed after using FastCopy. This is another best software for Windows file transfer. The mini tool runs in the system tray and with this, you can copy/move Windows file with just a click or two. With Ultra Copier you can also transfer multiple files at once. The transfer speed with Ultra Copy is also very good. So, this is another best tool you can have on your Windows computer if you want to increase the Pendrive transfer speed. Well, if all of the above-listed methods fails to speed up the USB drive, then you need to format it. Sometimes, a simple format seems to fix out most of the USB related problems. However, you will lose all data stored on the USB drive if you choose to format it. 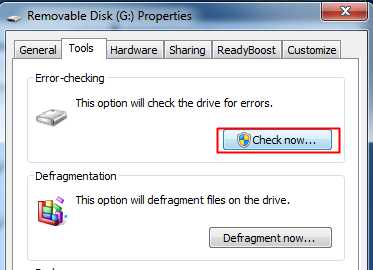 Therefore, its recommended to create a backup before formatting your USB drive. 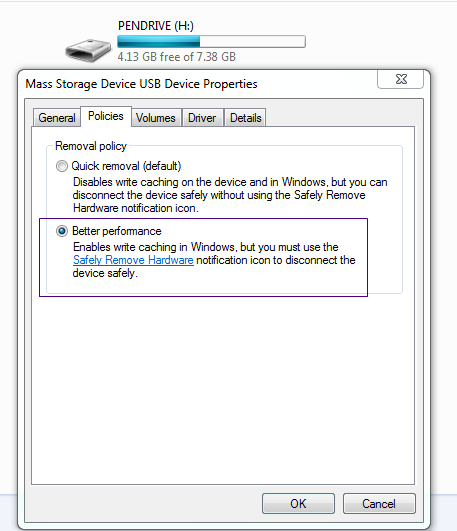 Make sure to format the USB Drive in NTFS format. After the format, restart your computer and check. It’s worth to note that the transfer speed depends on the type of files that you are trying to transfer. For instance, transferring a few video files totaling 4GB will be much faster compared to transferring 4GB worth of few hundreds of images. However, if you want to be on the greater side, we recommend you to use the latest USB 3.0 devices and a computer with USB 3.0 ports. With USB 3.0, you will experience a noticeable increase in transferring speed. Well, your computer performance can really make a huge impact on data transfer speed. Having a better RAM along with a better processor will always improve the USB data transfer speed. If you are planning to add more RAM to the computer, then make sure to check the RAM compatibility. Also, you can use some PC optimization tools like PC TuneUp, CCleaner, etc to clean up the junk files. These things will surely lead to improved USB Data transfer speed. So these are the methods to how to increase transfer speed of pen drive. By utilizing all these methods, you can effectively boost your data transfer speed of your Pendrive and easily enjoy the high-speed transfer rate on your device. Leave a comment below about your experience with these methods and don’t forget this post with your friends.